In honor of my sister Andrea (we call her Onge), I have created a very fun page. For those of you that do not know my sister Andrea, she is an avid reader, averaging about 3-4 books a week. It is because of her, that I myself have developed a serious love for books, and as a result decided to create this page. Essentially, I will post book reviews (written by myself and Onge) that both of us have read. I will only post books here that I absolutely love, so next time you are looking for a good read, just come here and to see if there is something you might like! There will be everything from fiction, to self-help, to entrepreneurial advice. If you do find one you love, feel free to click on the image to directly order from Amazon (Amazon Prime for the win!). In addition, if you can't find a book you like, message me and we will have Andrea pick out one you can't put down (she's that good!). Hope you enjoy this page as much as I do, and please message me if you read any of our recommendations! I am hoping in the future, to create a TCD book club where we can have EVEN MORE FUN, haha, so stay tuned! *For more book related content, just search #tcdbooks on Instagram or twitter. Hope you enjoy! Schools are getting out for the summer and there is nothing better to remind you of summertime than reliving your high school years. In an attempt to get over her crushes, the protagonist Lara Jean has written and stored away secret love letters to each of her past loves. Never meant to be seen by anyone but her, you can imagine Lara's surprise when she realizes these letters were actually mailed and sent to her crushes. This book is definitely a light, fluffy contemporary with a "young" tone, but I love it because of this rather than in spite of it. 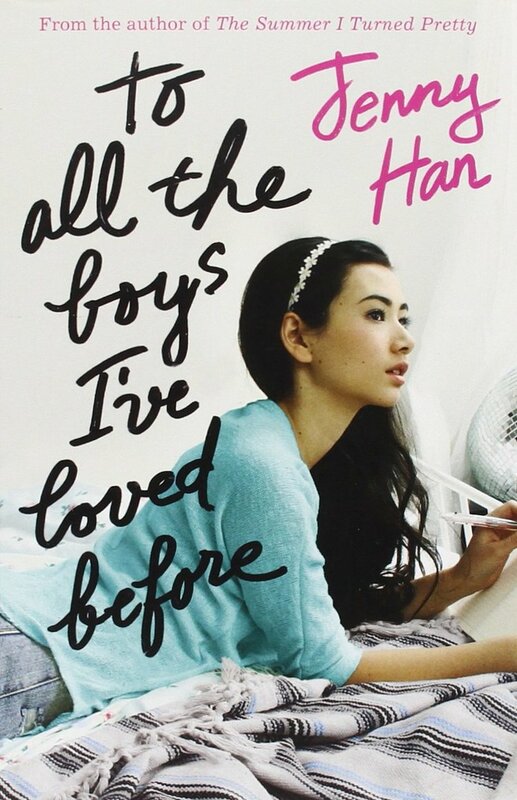 Han nails high school nostalgia of first crushes and broken hearts. She also writes a novel nuanced with the trials of sisterhood, friendships, mean girls, and the popular crowd. I rejoiced in having a refreshing teenage character like Lara Jean who loves spending time with her sisters, baking, and crafting instead of partying, drinking, and smoking like many high school heroines. If you want a light and fun story to pull out of your beach bag this weekend, pick up this gem and smile your way through Lara Jean's unfortunate adventure. If you love it, there's two more in the trilogy and I guarantee each is as delightful as the last. This is THE book I have been recommending to everyone since I first read it last year, and if you give it a chance, you will not be disappointed! This is a fantasy retelling of Beauty and the Beast set in a world with fae and magic and evil witches. We first meet Feyre (pronounced Fey-ruh) as she hunts in the winter woods beyond her house, trying desperately to feed her family of two sisters and a father who is completely detached from the world. This desperation leads her to make a risky kill in the forest leading to her capture by the fae that live beyond the human realm. 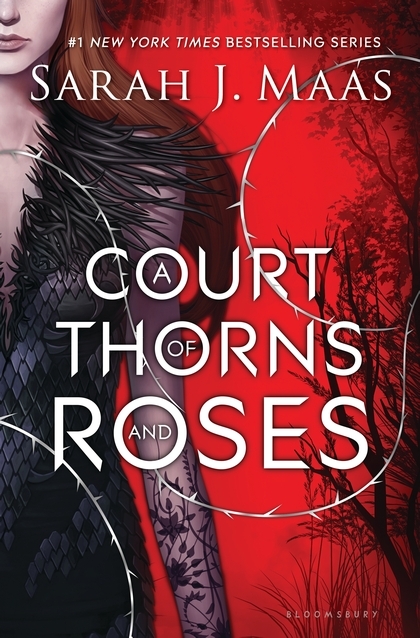 Unfortunately, the fairy lands have been cursed by an evil sorceress and Feyre's capture might be the first step in breaking the curse, but only if it can be achieved before the last rose petal falls...or something like that. Even if "fantasy" books are not your thing and you think the cover looks awful (it does), you have to give this book a try. It's more of a romance than it is a high fantasy but it still has wonderful world-building and fast-paced action. This isn't a book for teenagers either, there are some steamy scenes and some violence, but the plot and pacing will keep you turning the pages. IF you do decide to step out of your comfort zone and pick it up, have the sequel at hand. This trilogy is one you won't be able to put down until it's over!